Somerset rolls out the red carpet and puts their artists, musicians, and local brewery in the spotlight. 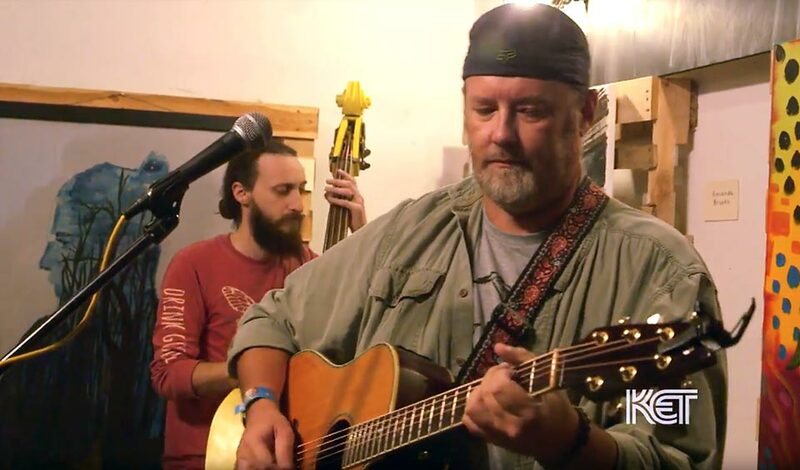 Check out this sweet video from KET highlighting the growing arts scene in Somerset. Jarfly was proud to help Kentucky Life tell this story and proud of all the regional artists and musicians that make Somerset a special place! Pubs and bars have long been a communal gathering spot to blow off steam at the end of the day and catch up with friends. 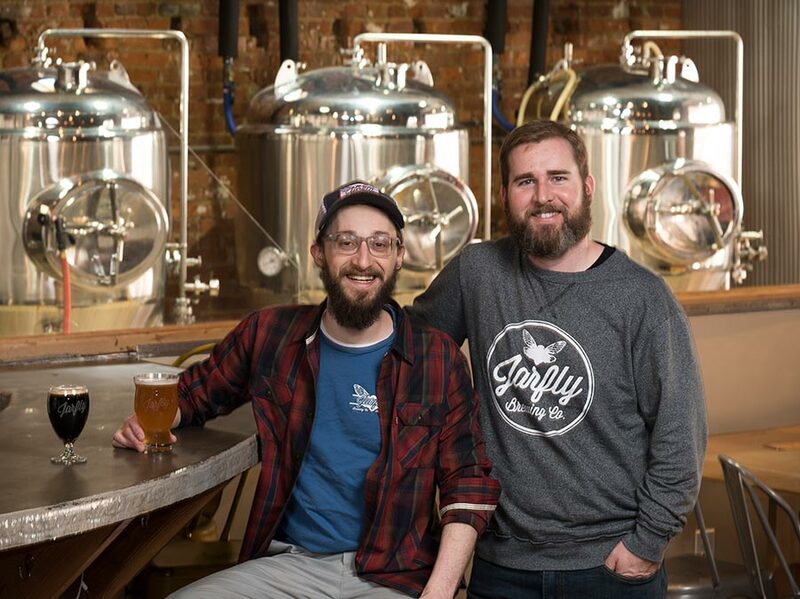 However, Daniel Stroud, 34, and Del Stephens, 31, of Jarfly Brewing Co. in Somerset have reinvented the wheel, merging beer and local arts to provide a space unlike anything else to pop up in south-central Kentucky. A nice article from our friends and supporters at the Southeast Kentucky Economic Development Corporation! SOMERSET, KY – Somerset’s first craft brewery is experiencing growth beyond its local taproom, after only six months of operation. Jarfly Brewing Company’s hand-crafted beers are being served in restaurants and at bars across Eastern Kentucky. The locally owned small business began regional distribution of some of its most popular craft beers in February. Nothing goes better with beer than munchies and a good beer cheese spread! 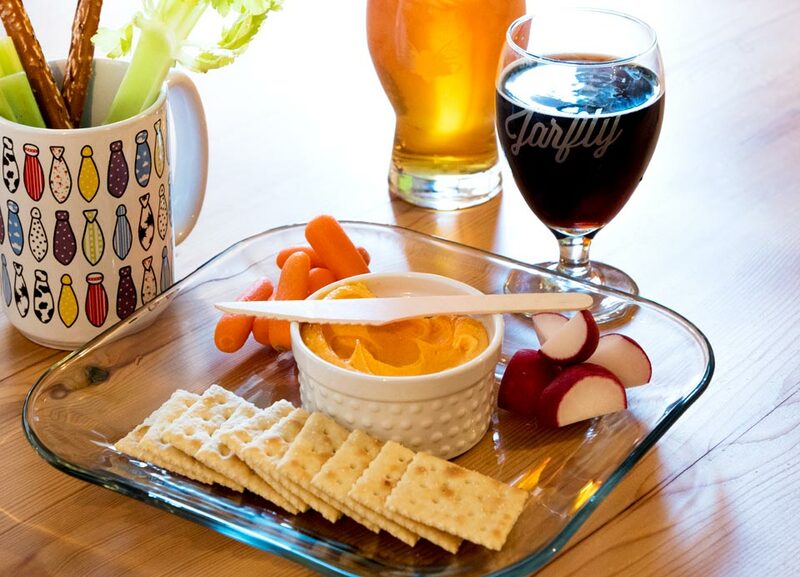 Jarfly is proud to serve the original Kentucky beer cheese, made famous by Hall's on the River restaurant. Stop in and ask for our Hall's Snappy Beer Cheese platter. It pairs well with all our beers, but goes especially well with our Kentucky Common Ale. 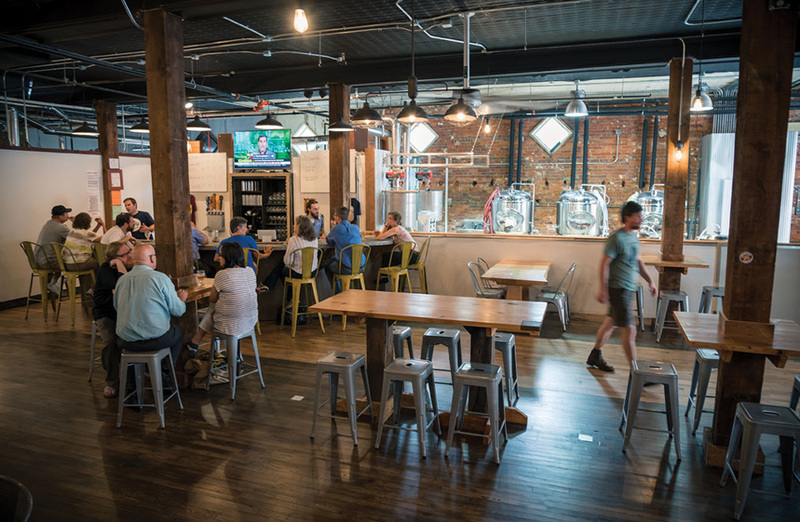 Somerset’s first craft brewery has been recognized not only for its successful entry into the local economy, but also for the spirit of collaboration, community and revitalization it has embraced during its first six months. The Somerset-Pulaski County Chamber of Commerce presented its 2016 New Business of the Year Award to Jarfly Brewing Company Jan. 19, 2017, at its annual banquet. 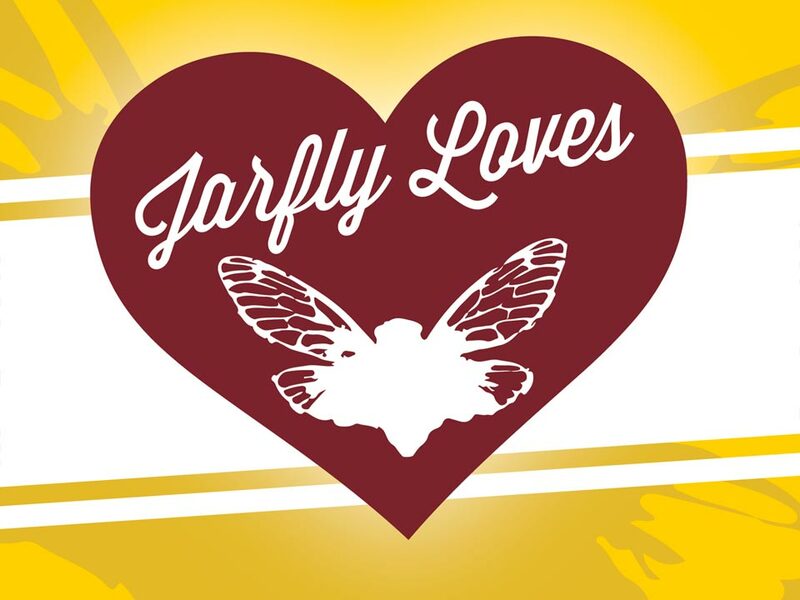 "Jarfly Loves" is our way of giving back to the community. We will open the first Wednesday (a day normally closed) of every month to support a local, worthy cause. Patrons are encouraged to donate to the featured charity, and our bartenders will volunteer their time with 100% of their tips going toward the charity. Our first Jarfly Loves event is Wednesday, Oct. 5 in support of the Pulaski County Animal Shelter. The shelter is currently saving for a new air conditioner, and donations of kitten and puppy food, collars, leashes, bowls, towels, treats, etc., will be gratefully collected. Future events will keep people warm and give gifts to children who are less fortunate. Charities will be announced on our Facebook page as they are finalized.